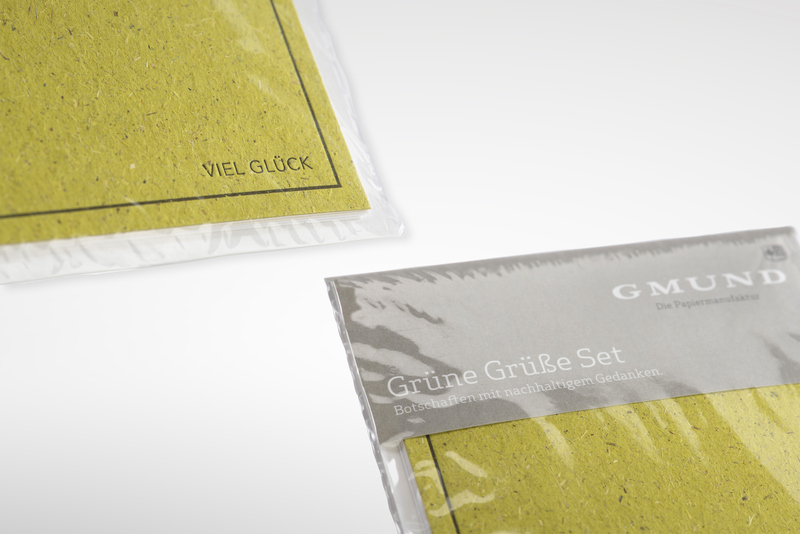 Gmund Paper is a premium paper manufacturer for fine paper. For nearly two centuries Gmund Paper has operated in the Bavarian countryside, blending old world craftsmanship with new world technology to create the most environmentally responsible and modern paper on the market. Paper culture and high-tech company – authentic, progressive and sustainable. The greeting cards made from the Gmund Bio Cycle collection are packed in Repaq cellulose film – 100% home and garden compostable. 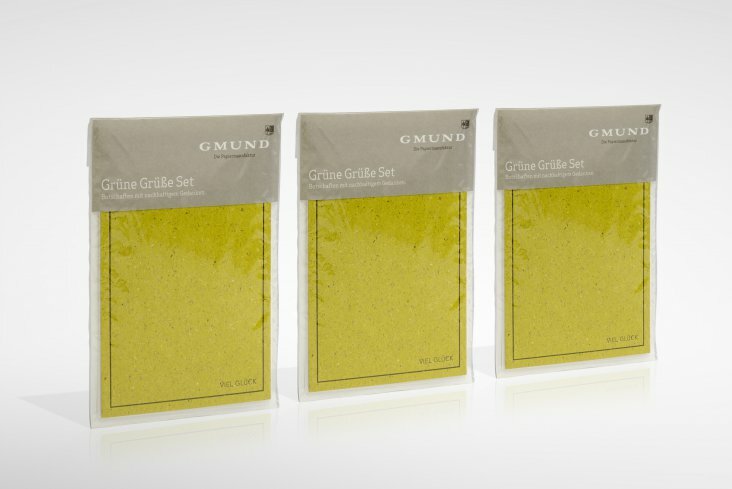 The innovative papers in the Bio Cycle collection contain up to 50% alternative ingredients, augmented with fresh-fiber cellulose that’s always FSC® certified at Gmund. 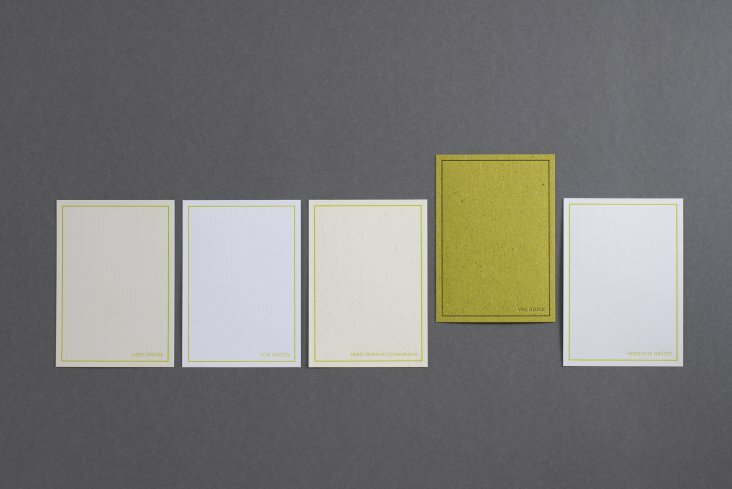 The collection also includes an ecological classic made from 100% recycled paper.